Hello. Are there any information about undercharged mail to international destinations? During the 2000-2010 period, I saw two postcards franked with 1st class stamps although sent to France. Both were delivered without charge by the French post. The delay was explained by Royal Mail either by a large round cancellation in 2001 and the other in 2007 by a peelable sticker on the picture side of the card. The messages seemed to imply a cheaper route than airmail or method were used (maybe: here is the bag of underpaid international mail, we'll process it when full?). Some mail marked international economy (surface mail) has been returned to the sender because of insufficient postage for airmail! I used to put my return address on an envelope - but one was returned because of insufficient postage - they didn't check the front of the envelope! Examples would be interesting to show? 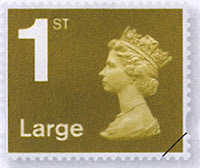 http://www.fountainpennetwork.com/forum/topic/295649-postage-problems/ - post #20, last shown on the first page, has a link to a dropbox photo - not mine. Oh, that is crass; should never have changed the name from Surface. I sense another blog post coming on. The sticker there appears to be an old one - I don't think Royal Mail use that serif font wordmark anymore, and the 0845 phone number has been replaced by an 0345 one. I assume the mail centre is using up old stocks. 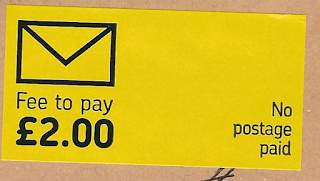 I think when sending mail internationally, it is more expensive to collect the missing postage from the receiver, therefore they rather just mail it back to sender. I once received (I think in 2013) a letter from England, which had only a 1st class stamp, and it took a month and a half to arrive to Slovenia. 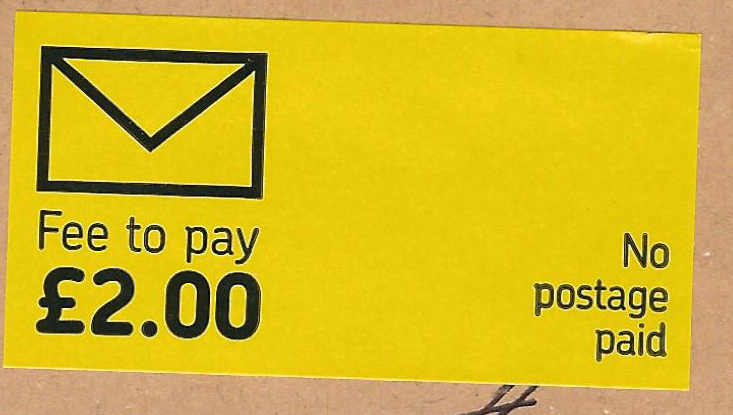 Royal Mail put a sticker on the back of an envelope stating that because of insufficient postage, it might take longer for mail to arrive. If you don't have an email address for Special Handstamps, email me at the address at the top of the page, and I'll let you have them.